Currency investors have started to become a bit more concerned about the prolonged cold weather in the US and its potential damage on economic growth. Weaker than estimated retail sales data somewhat confirmed those fears, enticing participants to square their dollar positions. This saw the EUR/USD pair head north, gaining 86 points to $1.3680. 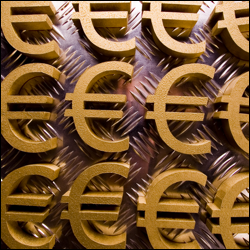 The euro dropped 43 points against the US dollar to $1.3593 largely on a bigger than estimated slump in industrial production in the common area during December. That made investors edgy as they await the GDP data later this week, with some now contemplating the possibility the European Central Bank might consider extending QE. For the UK and sterling, the main event will be the Quarterly Inflation Report. Having said that, with inflation seemingly back under control, traders will be more interested in the modifications to forward guidance, the updated growth forecasts and their impact on the timing of the much feared rate hike. Ever since he burst onto the scene with forward guidance, sterling has appreciated in lock step with each drop in the unemployment rate. Carney recently admitted that forward guidance needed to evolve, whereby some are suggesting he will tack on a few other economic conditions that have to be achieved. The big issue for markets today will be how hard he can beat back hawkish expectations and how far into the long grass he can kick monetary tightening? What levels of economic recovery will we have to see to warrant a rate hike a real possibility? A cautiously optimistic speech by Fed Chairman Janet Yellen sparked a rally in the shared currency versus the dollar to an intraday high of $1.3682. But amid confidence returning on this side of the Atlantic, the positives are very frail and a u-turn is possible at any moment. This was the case during yesterday's afternoon session when the EUR/USD retraced, closing 6 points in the red at $1.3637. A growing belief that the Eurozone is out of the woods has been mirrored by rising investor confidence according to yesterday's Sentix Index. At the same time, reassurances from ECB President Mario Draghi, who said that the central bank is ready to do more to boost growth given the falling rate of inflation, is also fuelling optimism. This meant that the euro continued its appreciation versus the dollar in the forex markets, gaining 26 points to $1.3643. Despite recent signs of stuttering economic data and some mixed results, the general consensus is that expansion is still underway. That continued to fuel the risk-on sentiment, supporting the euro which soared for the third straight session on Friday, gaining 48 points to $1.3638.